In chapter one we considered the death of the cross and the amazing love it displayed. In chapter two we viewed the depth of tenderness in the Father and Son relationship. These two truths give us an important foundation upon which to understand the character of God and the nature of His kingdom. Chapter nine of Luke provides us an excellent narrative that shows what happens when we resist the cross. It gives us a picture of how men allow themselves to desire God to burn people alive in retribution for their sins believing this is in harmony with His character. Peter confesses that Jesus is the Christ of God. Matthew records that Peter stated He was the Christ, the Son of the living God. Jesus tells Peter that this knowledge is a spiritual revelation from the Father and no man can learn this himself apart from God showing it to him. First warning of the cross. Jesus gives first warning about the human hatred for the submissive Son of God and how He will be killed. Peter reacts strongly to this and states emphatically that this is not going to happen! Peter refuses to allow his ambitions for greatness to be crucified. This is a denial of the cross. Jesus rebukes the spirit of Satan that inspired Peter’s comment. There is no record of Peter or the disciples responding to the coming cross and how they might prepare. This begins to harden the hearts of the disciples to the sufferings of Christ and His cross. Jesus warns the disciples that their worldly ambitions must be laid down if they wish to follow Him. There is no worldly honour in the path He is treading. There is only self-denial and service to others. Father commands them to hear His Son. In mercy the Father reveals the glory of His Son and urges them to listen to what He is saying. The previous refusal of the cross means the disciples do not have perfect love and so they fear greatly the voice from heaven. Fear hath torment. “He that feareth is not made perfect in love.” 1 John 4:18. The refusal to accept the cross begins to reveal itself in unbelief. The disciples can’t cast out the demon because their hearts are still influenced by their desire for greatness. Jesus labels their lack of faith as a warning. Second warning of the cross. Heart hardens even more. In love Jesus again tells of the cross in order to help them give up their cherished ambition but again they reject this call to repentance and simply enter into sorrow about what He is saying. Their hearts harden even more as a result. The disciples open the door to Satan who tempts them to discuss which of them is the greatest among them. Jesus responds by placing a small child among them and warns them that unless they become like this child they cannot enter the kingdom of heaven. Since the disciples were seeking for the greatest position they did not want anyone else to take that position and so exercised a spirit of force towards their perceived competitors. Spirit of murder appears and justified through Scripture. In refusing the cross of self-denial the disciples’ hearts were taken over by a spirit of pride leading to control and then murder. The hardening of their hearts led them to see nothing wrong with killing people in the name of God. The disciples did not wish to accept the warnings of Jesus about His impending death at the cruel hands of the nation’s leaders. They had pinned all their ambition for national greatness upon Him; they had perceived Christ not as He was but as they wanted Him to be. Their aspiration was for Christ to be Barabbas, and the reality of the cross crucified their dreams and turned them to dust. They chose not to embrace the cross and begin to comprehend the tremendous relational suffering that Christ experiences each and every day in seeing almost everyone reject and despise His message, mission, and His person as the representative of the Father. Instead, they chose to ignore this suffering which in turn hardened their hearts. When at the baptism of Jesus, the heavenly Father announced to the world His deep affection for His Son; a door was opened to truly comprehend the love, tenderness, and sensitivity of God and His Son. It is this sensitivity that causes Them to bear this terrible cross of agony through self-denial. Each day Their hearts are torn by human selfishness, pride, and indulgence. The freedom loving character of God allows men to continue to despise and reject Him for years and He never retaliates. He allows their hearts to harden and sadly watches them destroying themselves while ever seeking to stop them from doing this. The disciples were invited to begin to comprehend the brightness of this love, but the cross was not what they wanted and, as Israel had told Moses to cover the brightness of His face, the disciples put a veil over their hearts to prevent the truth from softening them. When Cain and Abel watched the death of the lamb, Cain put a veil over his heart to obscure the meaning of the suffering, and thus the lamb actually became a catalyst to harden his heart which prepared him to murder his brother. As Abel beheld the lamb he trembled as he contemplated its implications. He thought of the Lamb of God broken for us and he wept with a broken heart. The same sacrificial lamb yielded totally opposite results in the two men. Such is the light of the cross. The light is so bright that we must either fall on the Rock and be broken or resist and become as hard as a rock and consequently crushed by our own guilt when we are finally faced with the truth of the love of God. These principles are critical for us to understand the stories of the Bible correctly. Unless we can accept the tender love of the Father for His Son our hearts cannot be truly softened to interpret God’s judgments. A loving father would never burn his children alive, pouring molten brimstone on them as they shriek in dying agony. To believe that God could do this is simply to not understand the relationship of the Father and His Son and the grace that pours forth from them to the universe. To not understand the cross causes men to forget the agony He goes through when being despised, hated, and rejected; yet He refuses to give up on those who reject Him. He leaves His heart open to the very last, hoping that sinners will turn to Him. If in the end they reject and turn completely away from Him, every rejection causes Him immense pain. It is a pain that we as sinners recoil from in sorrow, anger, and disgust. We would never allow someone to do this to us over and over again. Leaving His heart open to rejection is the true cross of the Father manifested in His Son. Jesus has paid the wages and suffered the curse of sin. He died the death of those who at the end of time refuse salvation and choose rather to die. If Jesus died a death different than the death at the end of time then He did not pay the wages of sin. The question then is, Did Jesus suffer the fires of hell? If the final death of the wicked has them burn in the flames of hell and Jesus did not pay that price, then He did not pay the penalty for sin. Did Jesus experience fire on the cross? Notice how Paul connects doing good to those who don’t deserve it to coals of fire to the soul. When the children of Israel saw the glory of God at Mt Sinai it appeared to them as devouring fire. When the selfless love of God is revealed to a selfish person, the sense of guilt they experience burns in the heart so greatly that it causes physical pain. The experience of Jesus on the cross is prophesied in several Psalms. The wages of sin is death. What actually brings about that death is the guilt that sinners experience when they are confronted with how evil they are. The only way that evil is exposed is when God’s character is revealed in contrast. When the character of God is revealed it is as a devouring fire to the wicked because, as the sinner perceives the purity, selflessness, and grace of God in comparison to their selfish, evil nature, the sense of guilt is as coals of fire in their hearts. At the coming of Christ the wicked will be destroyed by the brightness of the coming of Christ. Christ is the brightness of the Father’s glory, Hebrews 1:3 and the Father’s glory is His character. Exodus 33:18; 34:6,7. The loveliness and beauty of Christ’s character will be fully revealed at His coming and this revelation will be a fire that is joy to the righteous and death to the wicked. The word for brimstone is theion which comes from Theos meaning God and carries the meaning of divine incense. It also means flashing. When we look at incense in the sanctuary described in heaven we notice the connection to fire. ...for love is strong as death; jealousy is cruel as the grave: the coals thereof are coals of fire, which hath a most vehement flame. God’s love is a fire and for the righteous the burning of that love in the heart is beautiful. This is what the disciples experienced on the day of Pentecost. The Scriptures tell us clearly there will be those who can live in this fire of God’s character; the righteous who will burn forever in the fire of God’s love, for God is a consuming fire. Hebrews 12:29. While the wicked are crushed by the guilt of their sins, those who trust in the merits of Christ have their hearts burning with love and gratitude. At the end of time the sinner will receive his wages, and who pays these wages? This whole experience was carried by Christ on the cross. He suffered the fires of hell. He was made sin for us and felt the crushing weight of sin upon Him as He exhausted the curse. What He experienced on the cross is what the wicked will experience at the end of time. Satan defiled himself by the multitude of his iniquity and trafficking those sins to others. The next word therefore gives the resulting consequence. I will bring forth a fire from the midst of thee – the fire of guilt. How does God bring this forth? 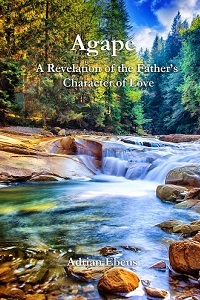 The revelation of His character of love as transcribed in the law. And IT shall devour thee. So it is the fire coming forth from within Satan born of his guilt from iniquity that will devour him. AND then Satan is brought to ashes upon the ground after he has been devoured. Satan can’t avoid seeing all the evil that he is and all the evil he has done while in the presence of God. The loving purity and holiness of God is so selfless it brings complete and utter self-condemnation that comes forth from the heart as a burning fire. This process devours Satan. After he is devoured and is dead he is turned to ashes upon the ground through cleansing fire. The law that causes the wicked such torment is indeed a fiery law yet it was given in love. Our Saviour did not come to condemn the world but that the world might be saved through Him. The law is a law of love but the wicked feel condemned by it because it is a reflection of the character of God. What about the fact that the Bible tells us that the wicked shall be turned to ashes? When sin has finally paid its wages to the wicked through the curse of guilt that falls upon them as they behold the purity of God’s beautiful character their dead bodies will lay upon the earth. Only then will the bodies of the wicked be turned to ashes. There are many who describe the final death of the wicked like putting down a diseased dog that puts other lives in danger; therefore, the animal must be put down. The problem with this analogy is that the owner of the dog does not light a slow burning fire that burns the dog for several days while it is still alive, causing it to shriek and howl in agony before it finally dies. This idea comes from a hardened heart. Our Father in heaven would never do something like this. Once you know the love of God, it is simply not possible to charge Him with the slow torture and personal slaughter of billions of His children. The reason why this idea is almost universally accepted and taught in the Christian world is because of a refusal to allow the reality of the cross to enter the heart. The heart in turn hardens to the truth of the sensitive and tender nature of God, and as it was with the disciples, there enters the idea of God sending down fire and physically burning people alive. Let us learn the lesson from the disciples and notice the command of the Father when His Son was transfigured – “Hear Him!” Let us listen to His pleading voice as He sets a precious little child in our midst and holds that child close to His chest and tells us “unless you become as an innocent child you cannot enter the kingdom of heaven.” Harden not your hearts as did the Israelites who begged Moses to put a veil over his face when the gospel was revealed to them. If you choose not to accept the self-denial of the cross you are in danger of hardening your heart while reading the Bible in a callous manner and attributing to God the pain and death of millions of people through human history. Today if you will hear His voice, harden not your heart. Barabbas was a political leader at the time of Christ who advocated overthrowing the Roman control of Israel. He advocated violence to achieve this goal and claimed to be a messianic figure. His name Barabbas means “son of the father” and was the complete counterfeit of Christ who is the true Son of the Father.